Can I have a shopping cart on my website? Yes. With VIP PowerNet Web Hosting you can have a shopping cart on your website. 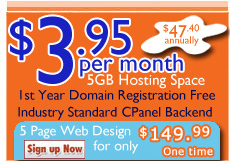 Our hosting package provides support for PHP and MySQL which most shopping cart scripts require. Moreover, when you are using our hosting service, you will be able to purchase a SSL certificate with VIP PowerNet. A shopping cart script that we recommend you to use is osCommerce. For more information on how to install osCommerce, please refer to the Tech Support Tutorial. Can I install my own CGI scripts and programs? Yes. You can upload your own CGI scripts to your local /cgi-bin directory. Does your packages support Java or Java Server Pages? Unfortunately, VIP PowerNet currently does not provide support for Java Server Pages (JSP). However, you will able to use Java Applets on your webpages. Does VIP PowerNet provide pre-made scripts for member use? If you have subscribed to a service with scripting support, you are free to create and use your own custom scripts, provided that they have been tested and are working properly. VIP PowerNet does not provide a library of pre-written scripts or forms for our clients. You may want to search the internet to find some useful free script libraries. Does VIP PowerNet support ASP scripts? 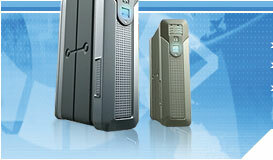 No VIP PowerNet does not support ASP scripts as we are providing linux base hosting. Does VIP PowerNet support CGI scripts? Yes VIP PowerNet has a CGI Optional Feature which will allow your account to support CGI scripts and provide you with your own CGI bin in which you can place your CGI scripts. Yes VIP PowerNet has a PHP/MySQL Optional Feature which will allow your account to support PHP scripts. PHP is run as an Apache module on our shared servers. How do I enable SSI for a particular webpage? Your VIP PowerNet account must be using the CGI or PHP optional features in order to be able to use Server Side Includes (SSI) on your web pages. SSI enabled web pages must be named with .SHTML file extension. An SSI file is simply an HTML file that may include SSI statements. When the server is sending a file to the client with this extension, it searches for SSI statements in the file before sending it. A URL with the .SHTML extension will automatically invoke the server to search for SSI statements thereby increasing the load time of your pages. Files should only use the .SHTML extension when you have included SSI statements in them. How do I install osCommerce? The demo for osCommerce and the installation instructions can be found at the Tech Support Tutorial . If you need assistance with the installation, please feel free to contact us. Common Gateway Interface (CGI) is a standard method of transmitting information between an application and a web server. CGI scripts are used to supplement basic HTML pages by making your website more interactive and functional. You can program many useful features in CGI scripts, such as hit counters, guest books, order forms and message boards. CGI is an alternative to Microsoft Active Server Pages (ASP). What is a CGI bin and what is it used for? The CGI bin is the directory where all of your CGI scripts are stored. Scripts are stored in this directory so that the web server will know to execute these scripts instead of just displaying them in a browser. This directory has executable permissions, while all of your other directories should remain non-executable. With your own local CGI bin directory, you can store custom CGI scripts that you have written yourself or found elsewhere on the Web. ASP.NET, also known as ASP+, is Microsoft?s most recent version of ASP and is a feature of Microsoft?s IIS (Internet Information Server). Like ASP, ASP.NET enables customization of HTML pages using database queries. ASP.NET, VIP PowerNet does not support ASP.NET at this time. An Active Server Page (ASP) is an HTML page that includes scripts that are processed on a Microsoft Windows web server before they are presented to the user requesting the page. ASP files end with the .asp extension. ASP enables you to create interactive web pages that are customized to your site?s visitors. For example, your ASP scripts can take input provided by a visitor, such as a user name, and use that information to access data stored in a relational database and then modify the page specifically for that user. Web pages that are customized for each user on the fly, based upon their actions or requests. For example, new visitors to your site can be shown a different welcome page than returning users see, or pages in an online catalog can be queries to a database so customers always see the most current information and availability. Dynamic content can be created by programming with scripting languages such as ASP, CGI-Perl or PHP. PHP, also known as PHP: Hypertext Preprocessor, is an open-source scripting language and interpreter. It is used primarily on UNIX Web servers to create interactive and customized Web pages and is an alternative to Microsoft Active Server Page (ASP) technology. When PHP script is embedded within a Web page, the Web server calls PHP to interpret and perform the operations specified in the PHP script. Web pages with embedded PHP script can use the file extensions .php, .php3 or .phtml (if you have added this mime-type). For simplicity, we recommend the use of ".php" to refer to all PHP-based web pages. - Add a hit counter to your page or passively count hits on your page. - Add file information to your page, such as the last update date. - Include another HTML file in your page. What is the absolute path to the server? To find out your absolute or server path if you are using the CGI optional feature you will need to ask us, as the paths are server specific. Please submit your request to us through the Contact Us Form. Subject: Request for absolute path to server. What is the path to perl, Sendmail? To find out your server paths, please refer to your setup instructions or our Tech Support Tutorial section. What languages can I use to write my CGI scripts and programs? CGI scripts can be written in almost any programming language. Our servers support CGI scripts written in Perl 5.x, C++, GCC (GNU Compiler Collection), TCL and Python. What scripting languages does ASP support? ASP provides native support for both Microsoft JScript and VBScript. You can also create ASP scripts using Perlscript or ActiveX Data Objects (ADOs) program statements. Where should I upload my PHP files? You can upload your .php files to any directory other than the cgi-bin directory. PHP files uploaded to and called from the cgi-bin directory will produce an internal server error.